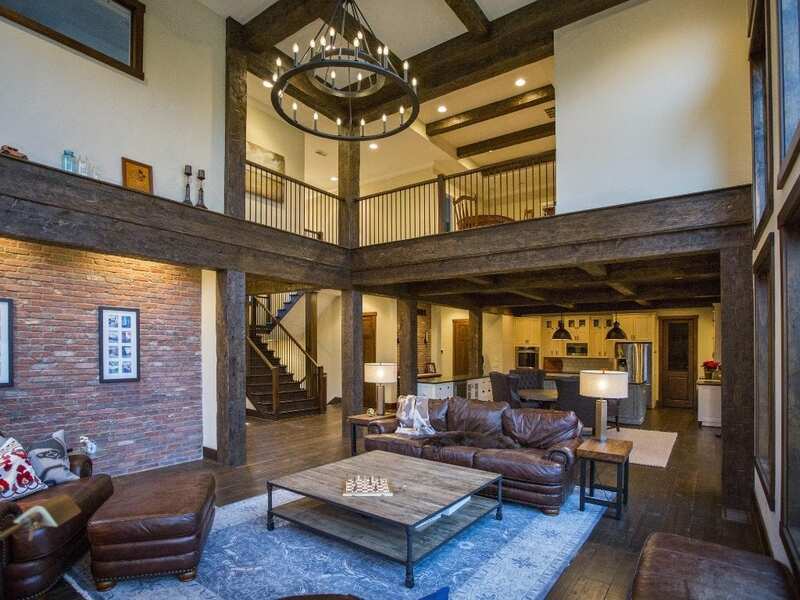 A family relocating to Cincinnati dreamed of a lodge style new home construction that echoed the look of timber frame homes. 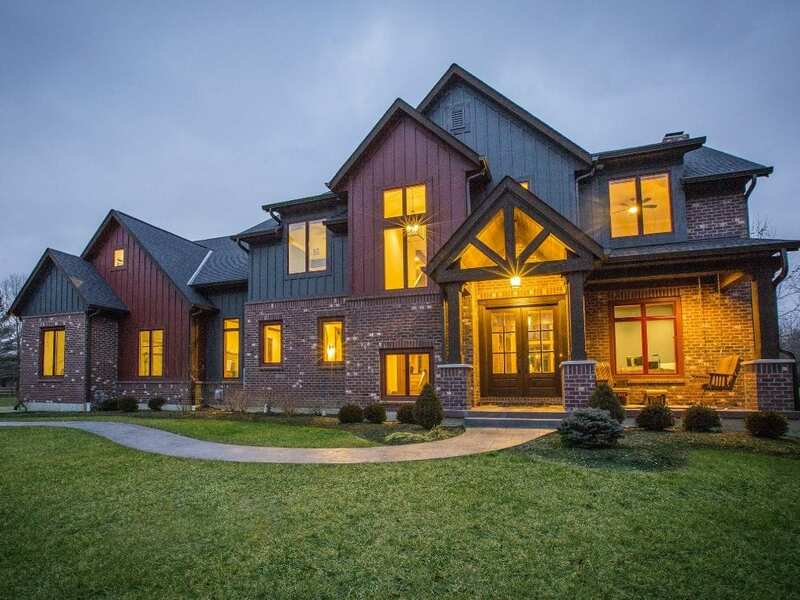 They chose new home construction when they couldn’t find exactly what they wanted on the market. 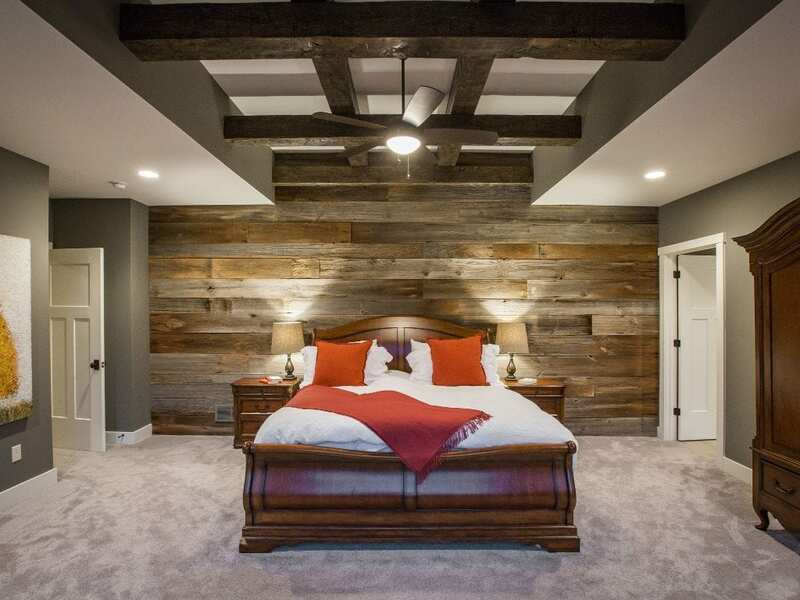 Hensley was honored to create a forever home for this family of four to make their own. 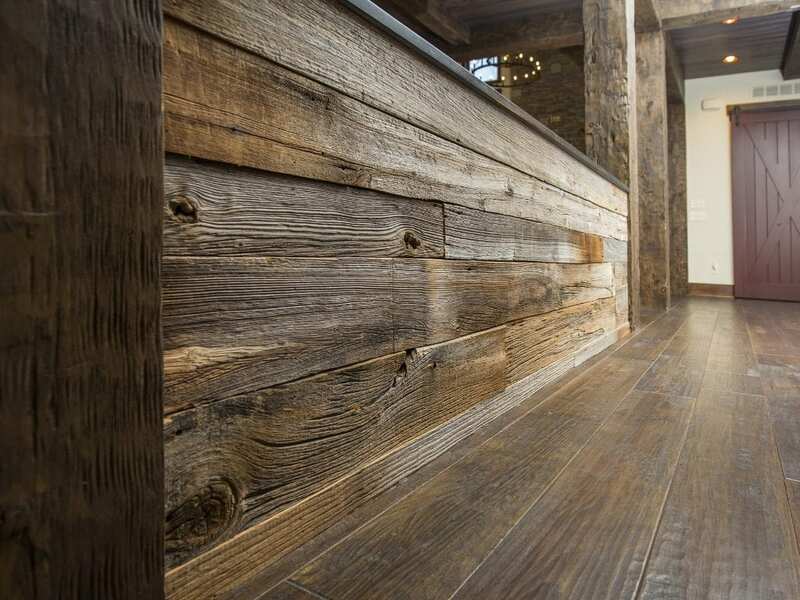 Please browse, enjoy and click on any image in the gallery below to view in a larger size. 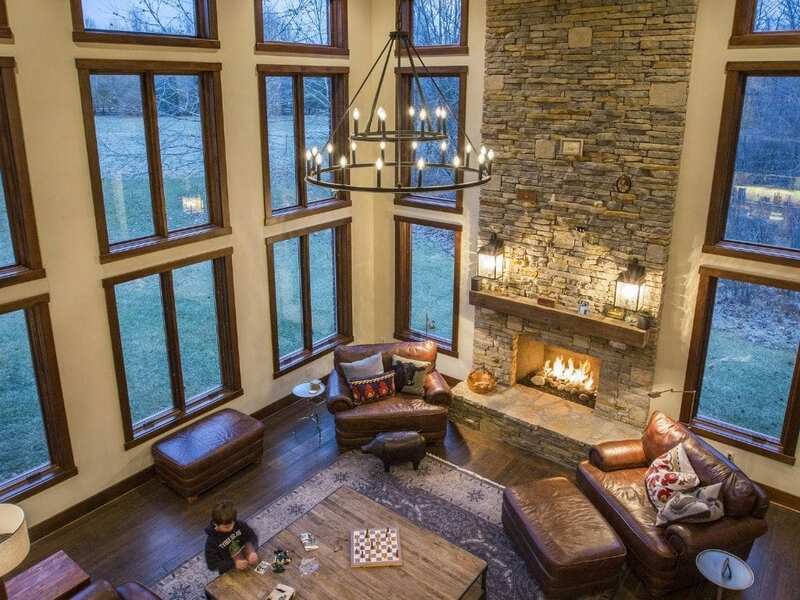 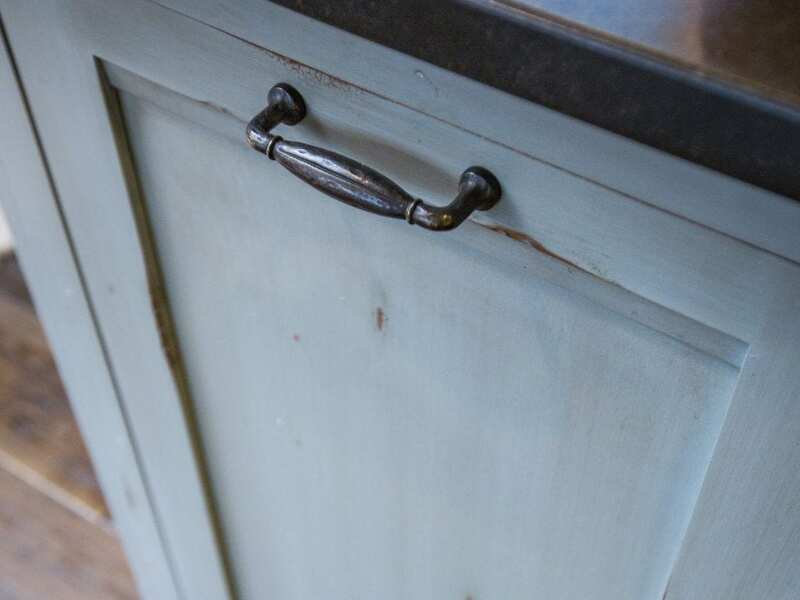 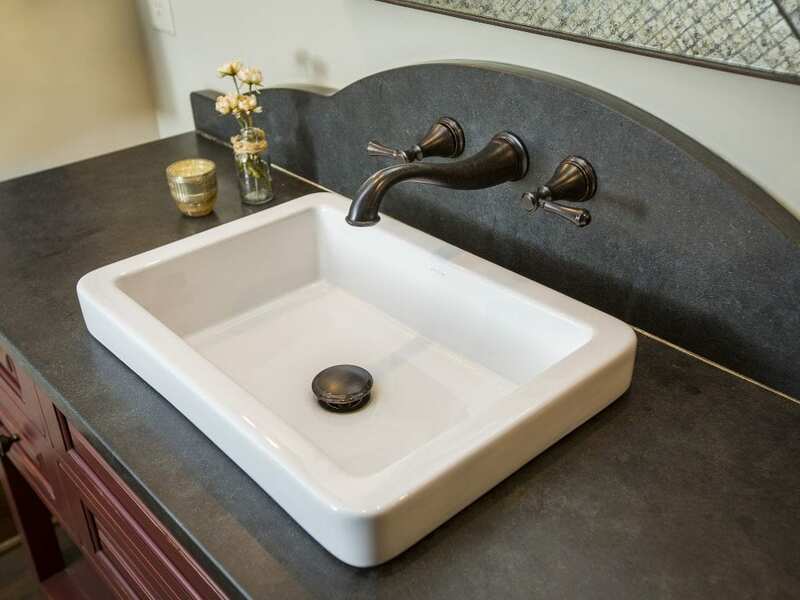 Use the Pinterest "Save" button while hovering over any featured, blog or gallery image on this Hensley Custom Building Group website to save as your own dream home design or inspiration. 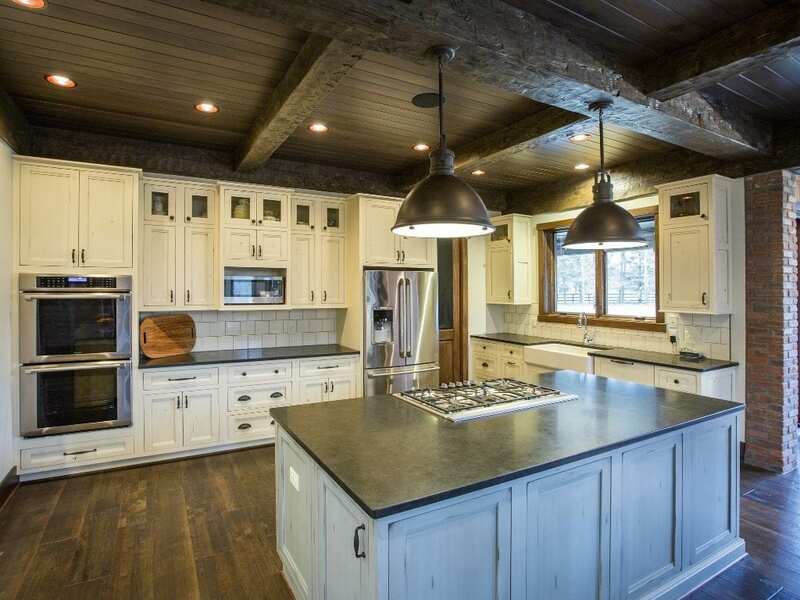 At the heart of the home is the open concept kitchen and eating area. 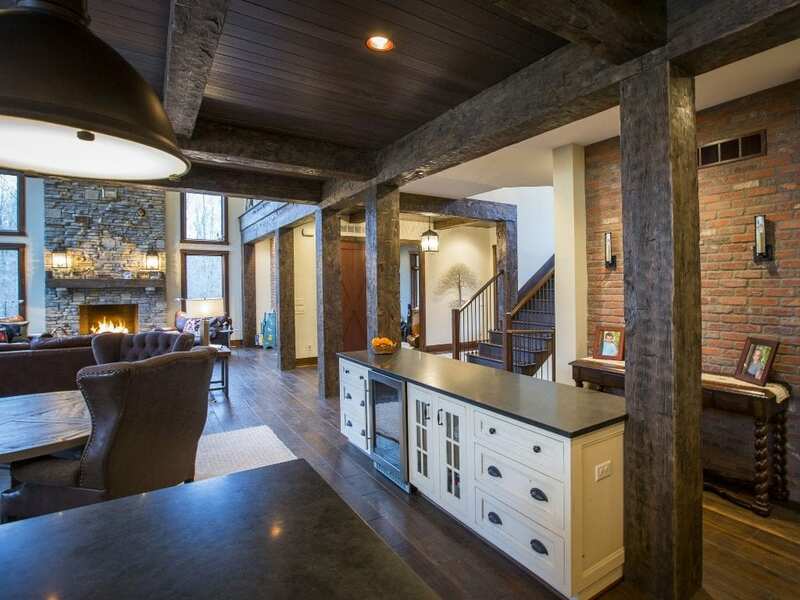 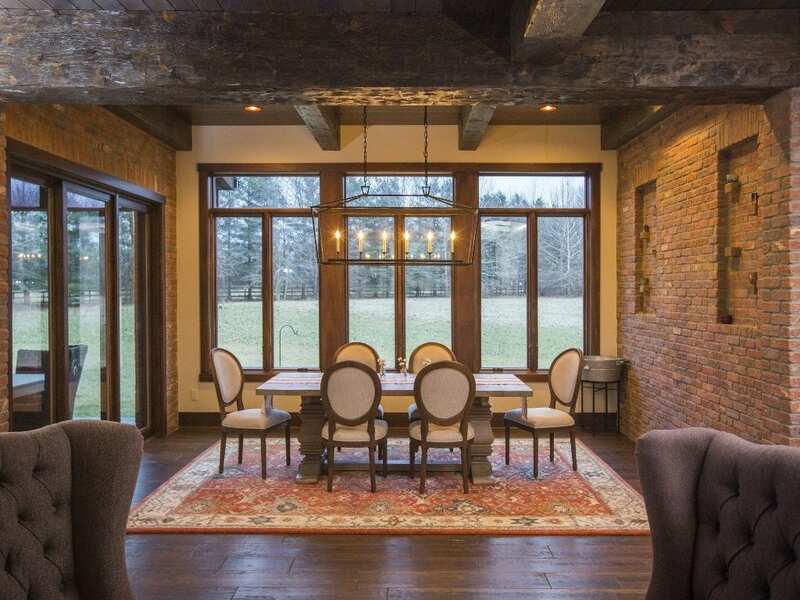 Timber posts and beams define this cozy space, which is just off the soaring great room. 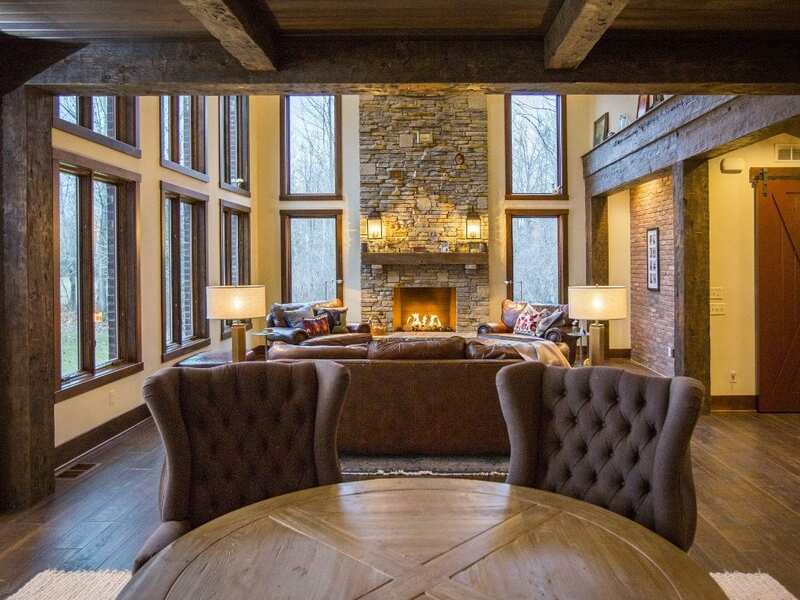 A stone fireplace, dark wood trim and beamed ceiling give a rugged mountain flavor to this popular family gathering spot. 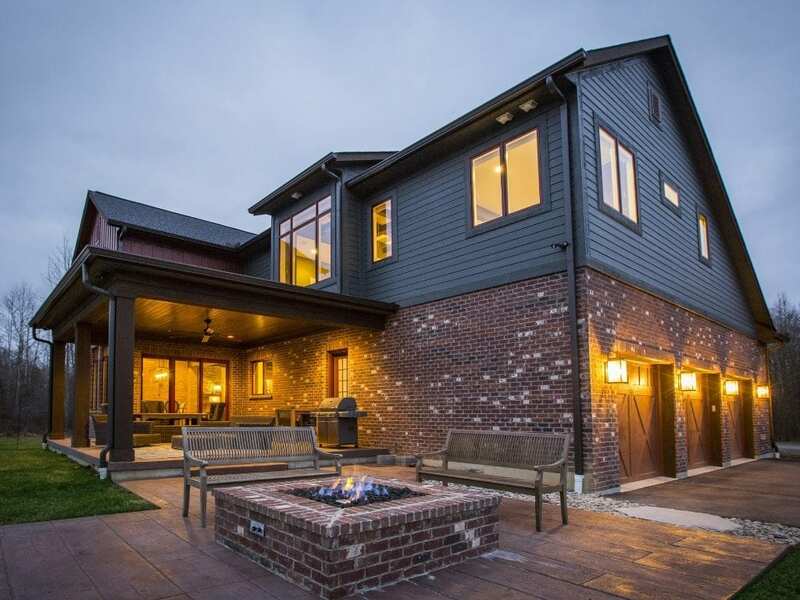 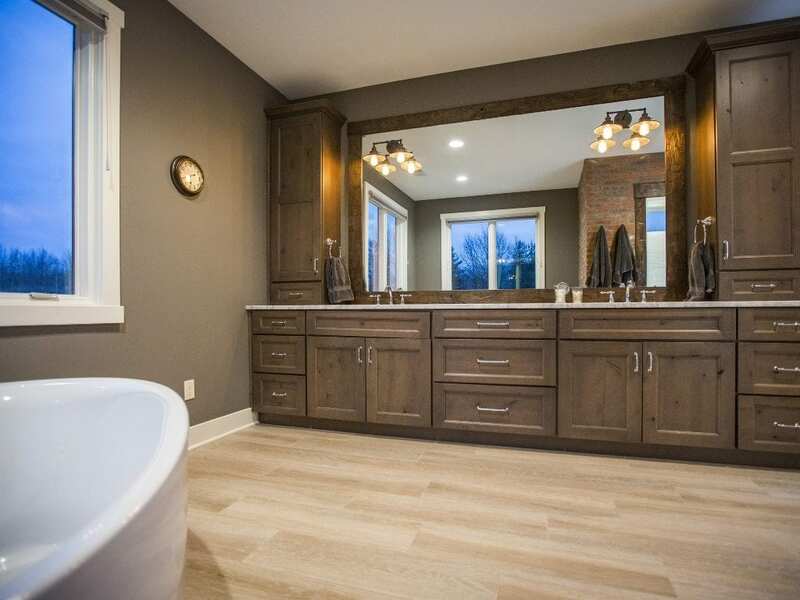 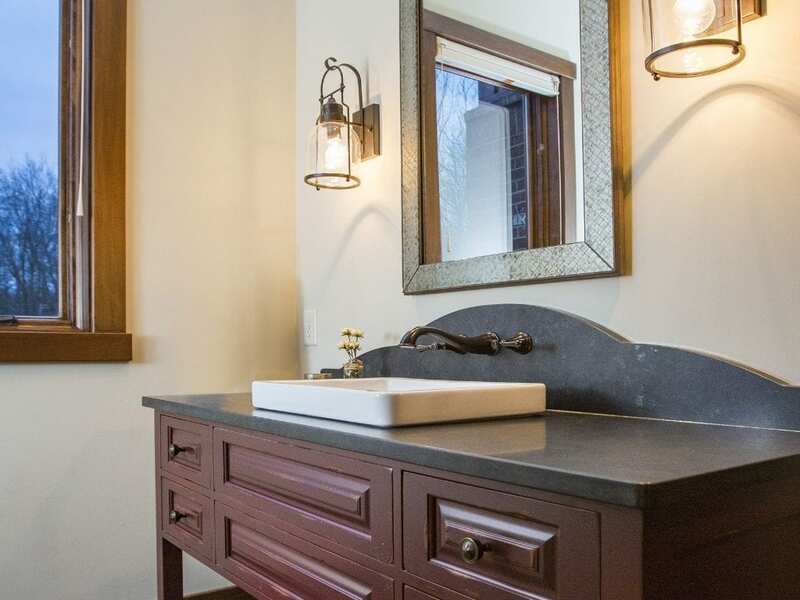 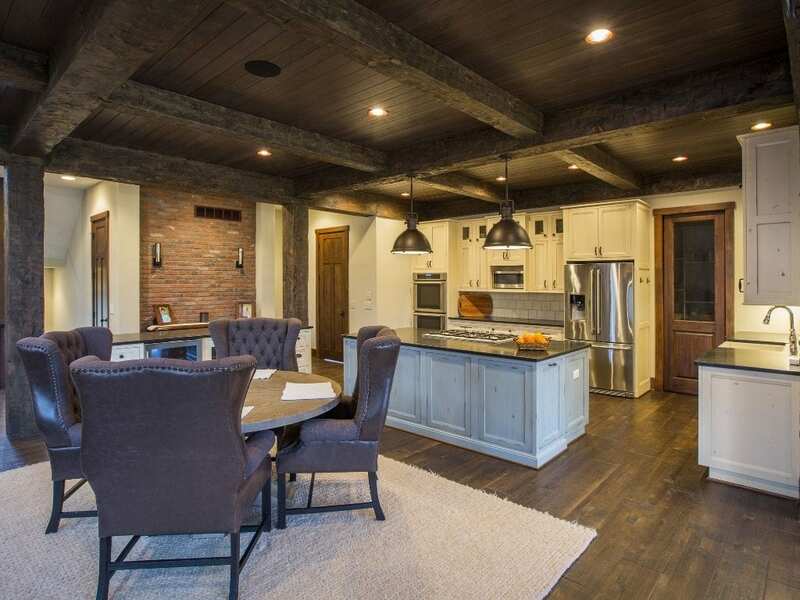 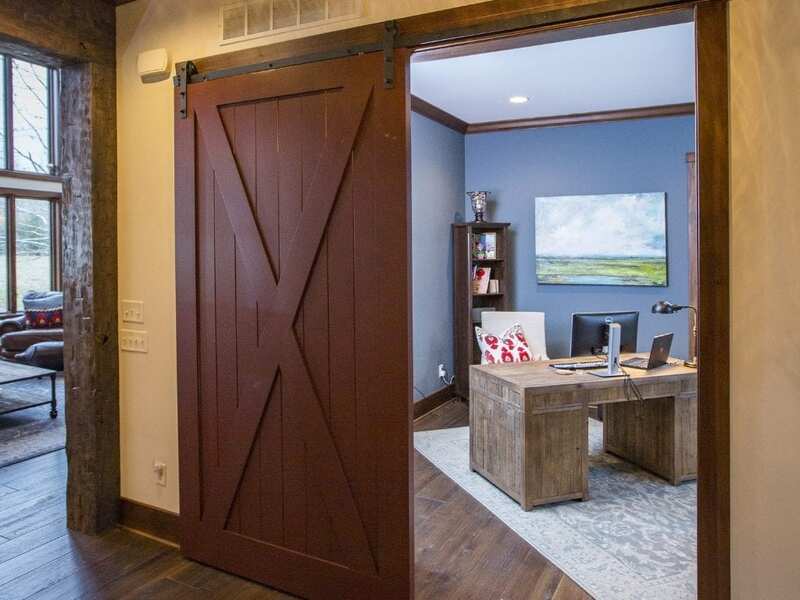 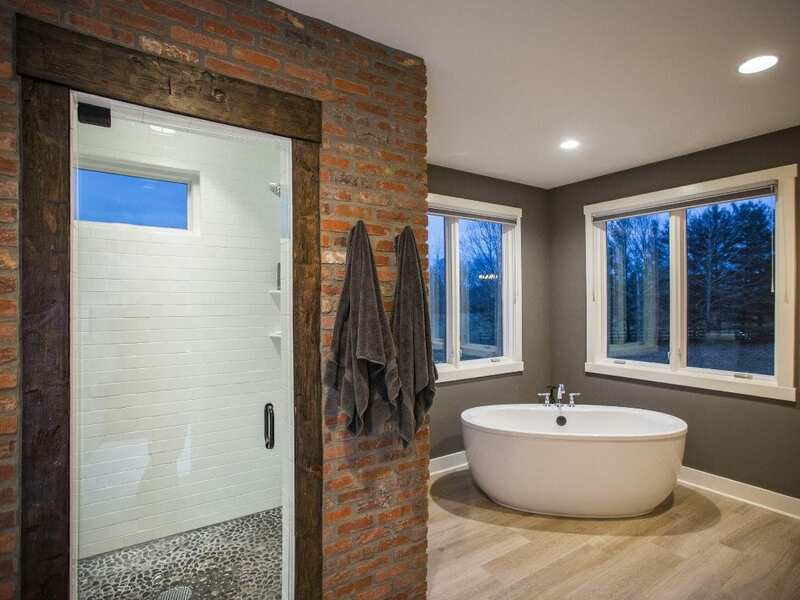 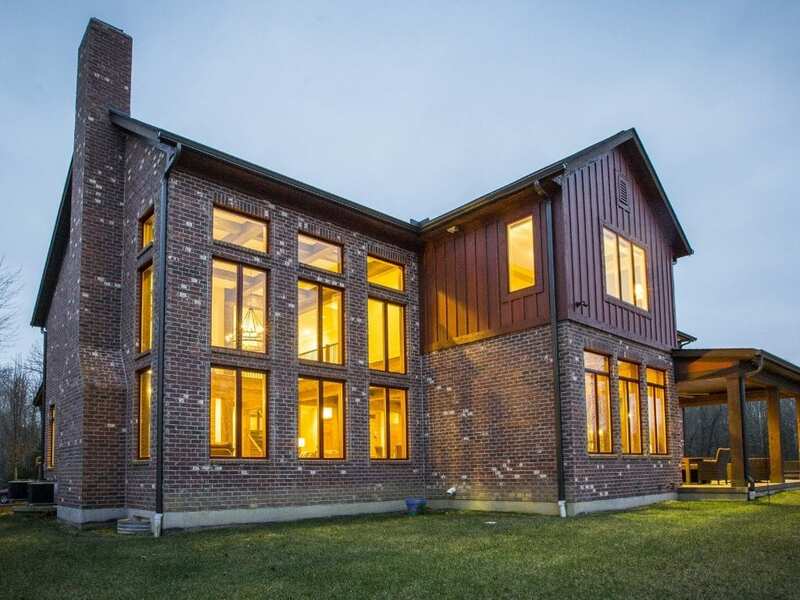 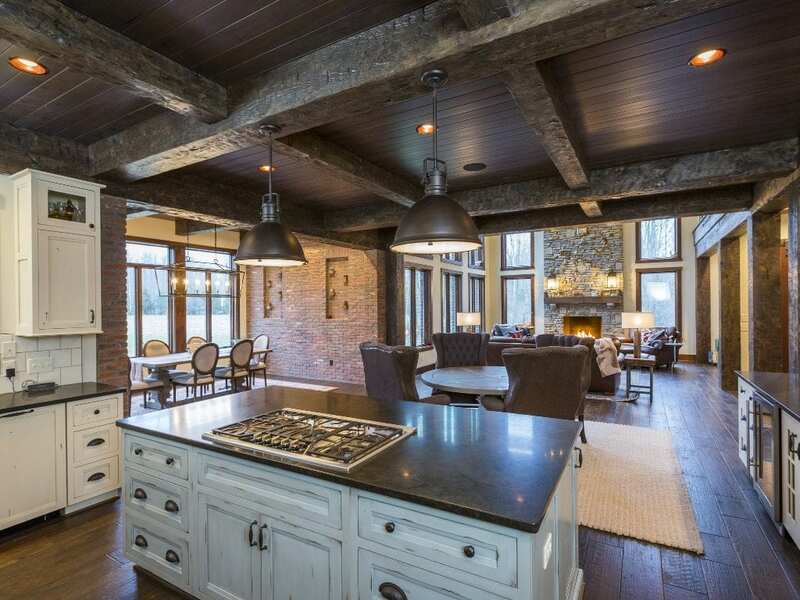 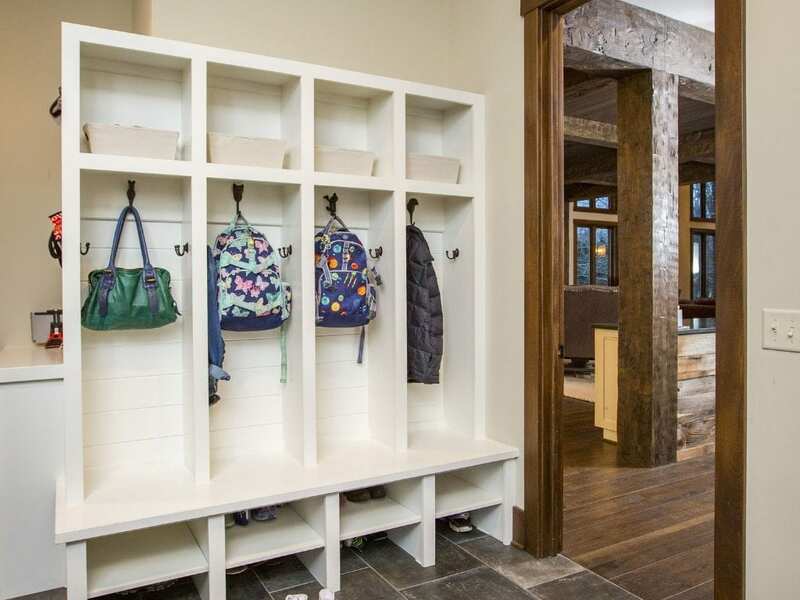 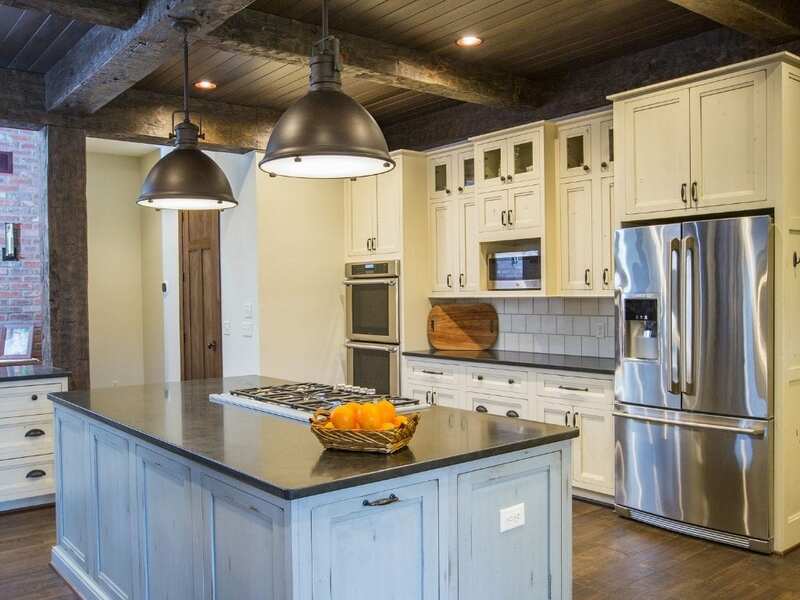 Barn wood and brick finishes add to the timeless lodge style of this new home construction. 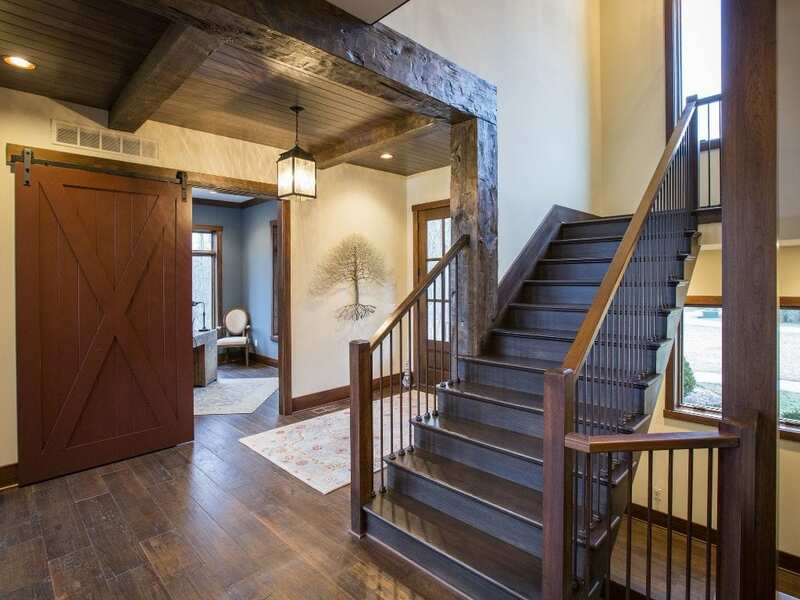 Right from the front porch with its timber truss overhead, the entry hall features a sliding barn door and a view of the open staircase with wrought-iron railings. 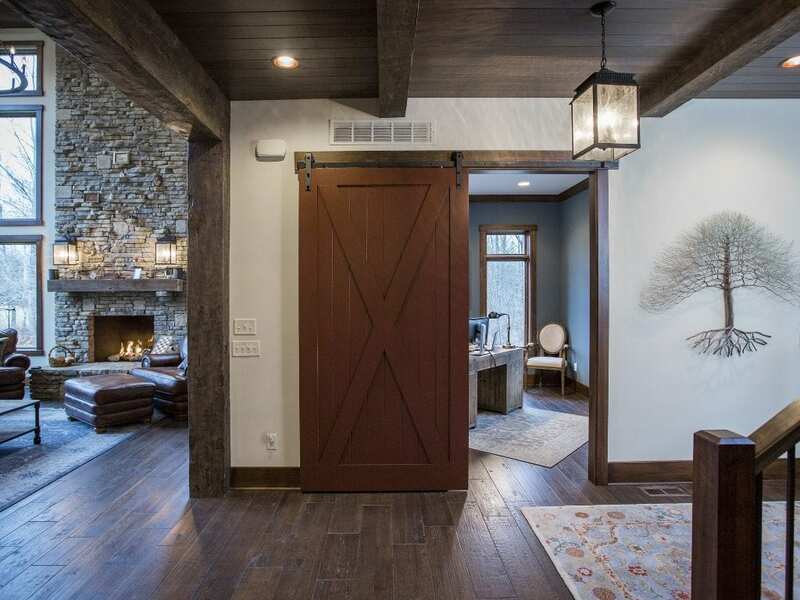 Wood plank ceilings are another nod to lodge style.